Flood damage is excluded from the majority of homeowners policies which leaves your home and personal property uninsured in the event of a flood. You need flood insurance so that, in the event of a flood, you will have money to repair or rebuild your home and replace your personal property. To protect against the risk of flooding, homeowners and renters can purchase a flood insurance policy with dwelling limits up to $250,000.00 and personal property limits up to $100,000.00 through the National Flood Insurance Program. Since this insurance is subsidized by the Federal government, it is extremely affordable. 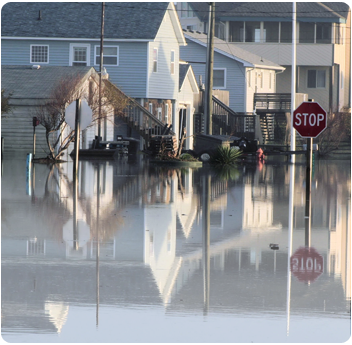 Read more about residential flood policies. Direct Flood Insurance Agency has a unique selling point in that you can get a quote and purchase a preferred risk flood insurance policy immediately online. Click on the orange button above to get an instant flood quote. We are licensed in Louisiana, Georgia, Mississippi, Alabama, Arkansas, Illinois, Iowa, Tennessee, Kentucky and New Jersey.